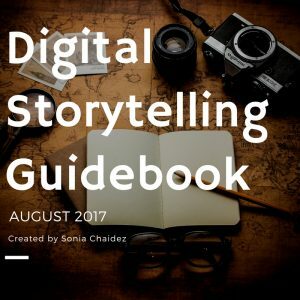 This Digital Storytelling Guidebook was created to give foundational knowledge for digital storytelling practitioners. It is filled with information and best practices collected after nearly a decade of implementing digital storytelling into 18 different disciplines including courses studying abroad and community engagement projects. Click on the link below to access or download.